Vascular diseases are directly related to trophic disorders. If the pathology concerns the brain, then the tissues primarily suffer from a lack of oxygen, which can lead to serious disturbances and even death of the patient. Therefore, in case of a disease by the type of aneurysm of the cerebral vessels, a qualitative diagnosis and appropriate treatment are of key importance. Cerebral vascular aneurysm (ASGM) is a cerebrovascular disorder that usually develops after a stroke. 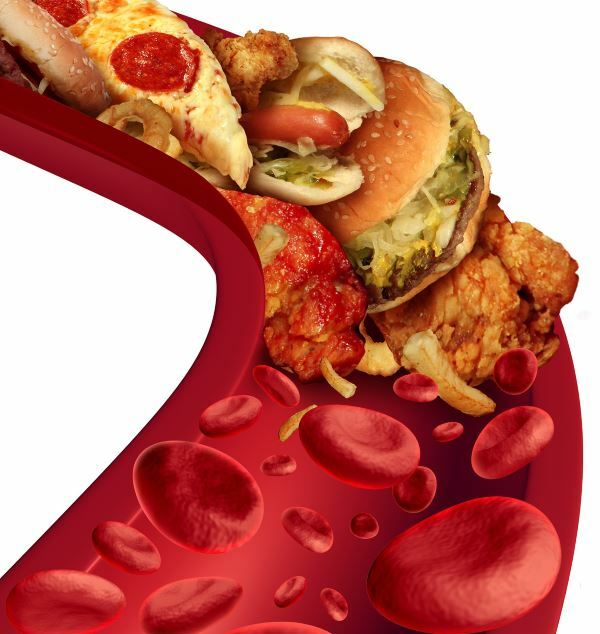 The likelihood of ASGM increases with poor control of hypertension and unhealthy lifestyles. Aneurysms of cerebral vessels are dangerous due to the possibility of rupture, as a result of which hemorrhage can occur, inside the brain and into the subarachnoid space. Such complications lead to the death of the patient or persistent neurological disorders. To prevent such consequences of the aneurysm, early diagnosis should be carried out. With timely detection of pathological expansion of the vessel, it is “disconnected” from the bloodstream, for which endovascular occlusion or “clipping” is performed. Video: Medicine. What is a cerebral aneurysm? Brain aneurysm, also known as cerebral aneurysm or intracranial aneurysm, is an abnormal expansion of a blood vessel in the brain. It is asymptomatic for many years. It is a life-threatening condition and therefore requires immediate medical attention. There are two types of aneurysms, depending on the form of expansion. Bagular: a common type of brain aneurysm and the most common cause of subarachnoid hemorrhage. Look like bag-shaped formations. Spindly: not very common. In this pathology, the blood vessel bulges in all directions, forming an aneurysm in the form of a spindle. Also found is a mixed form of bag-shaped and spindle-shaped aneurysm and pseudo-aneurysm. By the number of cameras available in the aneurysm - multi-and single-chamber. By value: billionths (not more than 3 mm), usual (from 4 to 15 mm), large size (from 16 to 25 mm) and gigantic (26 mm and more). Location: most often, in 45% of cases, the pathological expansion of the anterior cerebral artery occurs, in 26% of the internal carotid artery, in 25% of the middle cerebral artery, in 4% of the arteries of the vertebro-basilar system. Aneurysms are multiple, that is, there is an expansion of two or more vessels. Such a violation occurs in 15% of cases. ACGM relatively common. Approximately 10–12 million people in the United States have brain aneurysms, and about 27,000 new aneurysms are detected each year (Brisman, Song & Newell, 2006). Aneurysms on the blood vessels located in the posterior half of the brain (vertebral arteries, basilar artery and posterior communication artery) have a higher risk of bleeding than aneurysms found on the blood vessels in the anterior half of the brain (carotid artery, middle cerebral artery and anterior cerebral artery ). ACGM are acquired and congenital. The last type of aneurysm occurs in the process of fetal development, when anomalous formation is formed. Acquired aneurysm is the result of the influence of predisposing factors against the background of predisposing conditions. Overtime, for example, can contribute to arterial wall wear due to increased blood pressure. The thinned part of the vessel wall gradually expands against the background of an increase in the size of the artery. 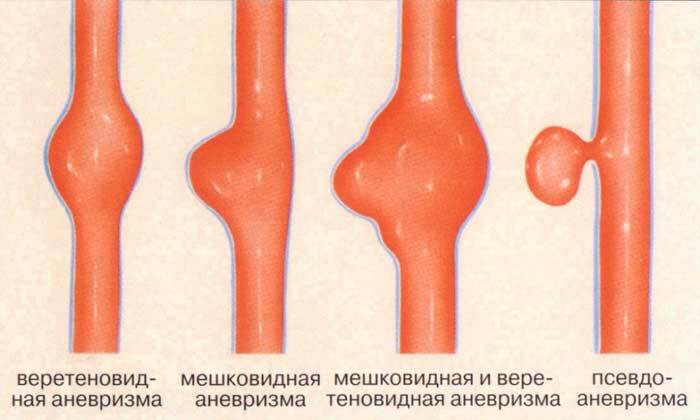 In such cases, the weakened wall bulges outward, leading to aneurysm. Also, due to persistent high blood pressure, an abnormal vessel can rupture and cause bleeding in the brain. This leads to cerebrovascular or hemorrhagic stroke. The presence of arteriovenous malformation. The presence of tumor formations. Factors that are thought to increase the likelihood of aneurysm rupture include its rapid growth, multiple lesions, a rupture of a previous aneurysm, symptoms of aneurysm hemorrhage, or nerve compression. They also include irregular autoimmune disorders of the aneurysm and familial susceptibility to aneurysm ruptures (which confirms the presence of this complication in several family members). Brain aneurysms cause symptoms only when they break. 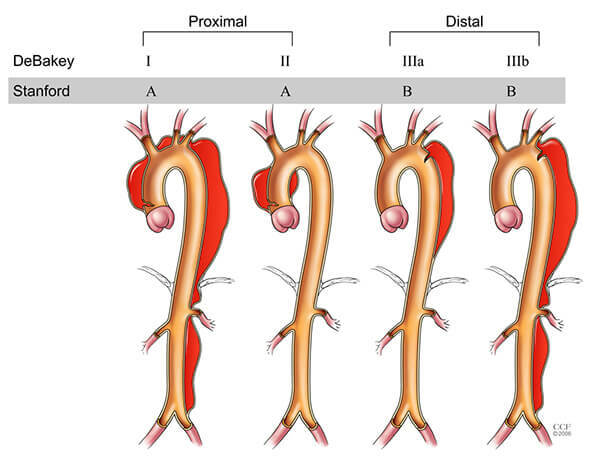 However, intact aneurysms can also provoke the development of a clinical picture, especially when the aneurysm is large or squeezes along with the passing nerves and tissues. The pain is inside or behind the eyes. Abnormal drowsiness, dilated pupils (or only on one side) may also be detected . When the aneurysm is broken, it causes bleeding in the brain or a so-called hemorrhagic stroke. This leads to oxygen deprivation and blood supply to the brain tissue, which in turn causes ischemia. Myocardial ischemia can also occur in some cases. There is a possibility of re-bleeding from the aneurysm if the pathology is not treated quickly. Hydrocephalus (accumulation of cerebrospinal fluid in the brain) can occur when blood enters the subarachnoid space through a ruptured vessel. In severe cases, the brain gradually loses its function, resulting in a coma and, ultimately, death. Computed tomography (CT) . This study is based on the use of x-rays, which are used to produce images. In this case, before the test, an injection of an anodine-based contrast agent is injected. Contrast helps in a detailed view of the structures of the brain. Magnetic resonance imaging (MRI) . In this test, magnetic waves are used to create images. They provide images with higher resolution than CT. Examination of cerebrospinal fluid . To obtain cerebrospinal fluid, a lumbar puncture is made, after which the resulting biological material is examined for the presence of blood. 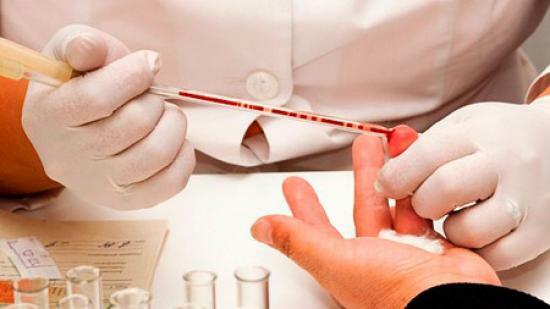 This test is performed if bleeding into the subarachnoid space is suspected. Cerebral angiography (CAG). This is an invasive study, which is resorted to in the case of the ineffectiveness of other diagnostic methods. CAG provides sufficient results to determine the size and location of the aneurysm. During this test, a thin flexible tube is inserted into the inguinal artery and guided through the vessels to the brain. Then the dye is injected through the tube to visualize the brain and obtain images. Figures 2a and 2b: a side view of a ruptured aneurysm of the left posterior artery (indicated by an arrow) on the cerebral angiogram before the treatment of the aneurysm. Figure 2c: after treatment with coiling aneurysm. Treatment depends on the patient's age, general health, size, shape, and location of the aneurysm. The treatment approach differs between controlled, uncontrolled and ruptured aneurysms. In any case, the patient’s condition should be monitored, but special care is required in determining the uncontrolled aneurysm, which is immune to therapy. Treatment in such cases can be targeted to the main predisposing factors that increase the risk of rupture, for example, hypertension. Antihypertensive drugs that are prescribed for the treatment of high blood pressure. Acetaminophen-type NSAIDs (nonsteroidal anti-inflammatory drugs) can be used to relieve headaches. Anti-epileptic drugs such as levetiracetam and phenytoin are prescribed to prevent seizures. Arterial aneurysm clipping . In this procedure, anesthesia is made and an incision is made on the skull to remove the bone graft. It provides access to the aneurysm. 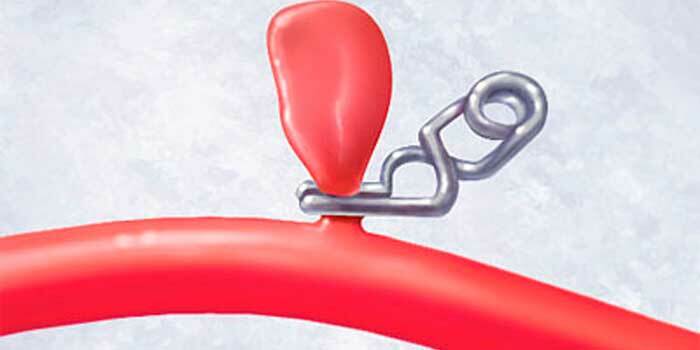 When pathological formation is detected, a metal bracket is used to completely close the aneurysm. This procedure is often accompanied by the loss of sufficient blood. Flow redirection stents. With the help of a special device - a stent, that is, a thin mesh tube - an outlet for blood flow from the aneurysm area is made. Changing the local blood circulation gives enough time to heal the aneurysm and develop a new blood vessel in the affected area. Endovascular coiling. During this procedure with the participation of a thin catheter inserted into the inguinal artery and sent to the brain, the aneurysm is wrapped. For this, a small platinum wire is used, which is delivered to the injured site through a catheter. It is with its help that the aneurysm is sealed. This prevents the rupture of the pathological formation. In case of aneurysm rupture, nimodipine is prescribed as immediate medical care to reduce the risk of traumatic brain injury due to bleeding. If, after the treatment of the aneurysm, there is such a consequence as a stroke, then there may be weakness in the limbs and difficulty in speaking. In such cases, counseling a physiotherapist and a speech therapist is necessary, followed by practical exercises that help overcome these problems. Some people with a torn cerebral aneurysm die from initial bleeding. Other patients with cerebral aneurysm recover with a small or severe neurological deficit. The most significant factors in determining the result is the assessment on the scale of Hunt-Hess (Hunt & Hess), as well as the age of the patient. Usually, patients with bleeding from the Hunt & Hess I and II degree when entering the emergency room and patients younger than the typical age range of vulnerability (up to 40 years), are given a good prognosis with a low probability of death or permanent disability. Elderly patients and patients with a lower degree of Hunt & Hess at admission give a poor prognosis. As a rule, in two thirds of such cases, a bad outcome, death or permanent disability is determined. 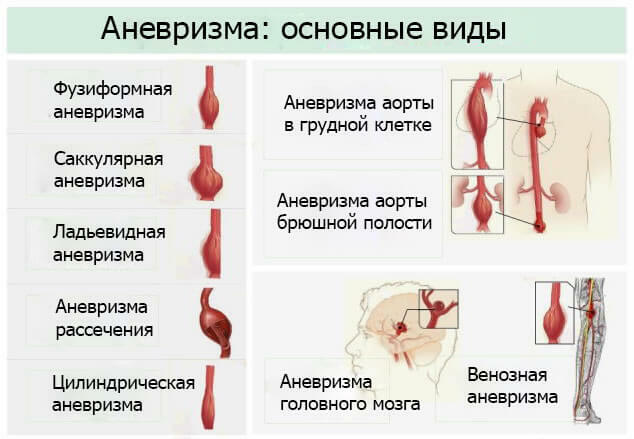 If a high risk of developing an aneurysm of cerebral vessels is determined, you must first seek the advice of a neurologist and follow them properly, as well as make some changes in lifestyle. Make a diet of healthy and healthy foods. Take medication prescribed by your doctor in the correct order. If there is hypertension or any other disease that increases the risk of aneurysm, you need to be especially serious about taking the right medications. Blood pressure should be monitored regularly. If possible, pass screening tests, especially in the presence of unfavorable heredity or congenital disorders that can cause aneurysm. 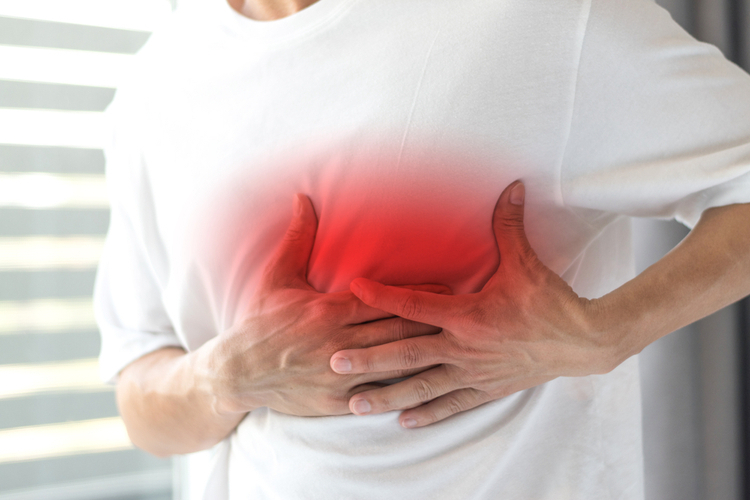 Among vascular diseases there is a real "bomb of delayed action", known as aneurysm. Its timely diagnosis, and after that proper treatment, is very important as it helps to protect the patient from a disadvantage. Severe and unpredictable diseases are considered heart aneurysm in children. Pathology can be determined both immediately after the birth of a child, and already at an older age. In any case, timely diagnosis and quality treatment is important. If necessary, emergency medical care can be provided, since various emergency conditions are associated with the aneurysm. Dissection of the aorta refers to emergency conditions. The disease is associated with a high risk of death, so when it develops, urgent surgical intervention is often performed. 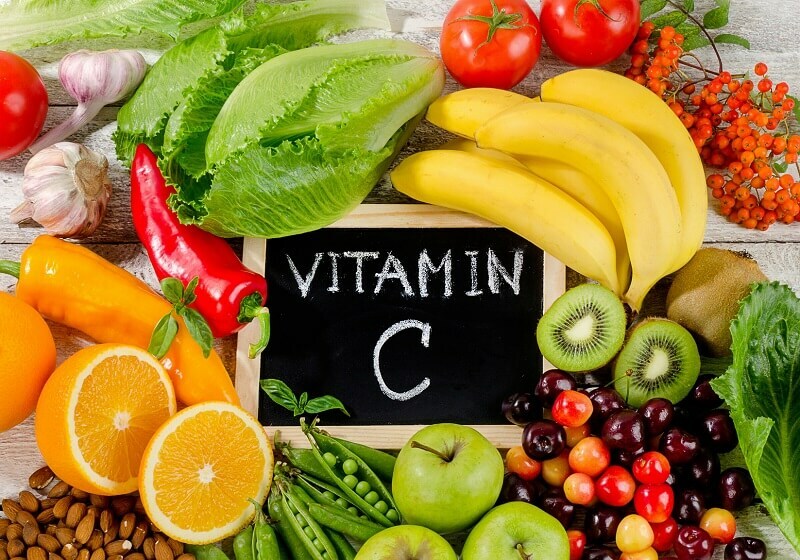 The peculiarity of the course of the disease often contributes to incorrect diagnosis, which also affects the deterioration of the prognosis for the patient.